Holds small portion of ashes, fur or whiskers of your pet, etc. 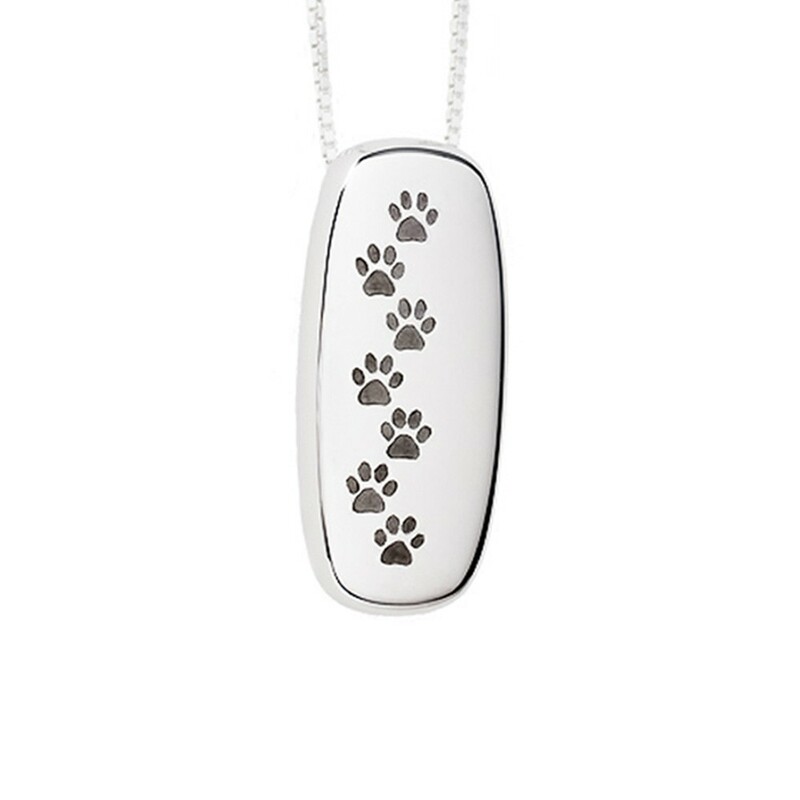 "Paw Print Left on My Heart Will Never Be Forgotten.©"
Resembling the quickened pace of man’s best friend following behind your footsteps, the Rectangle Pendant is a symbol that the memories of our pet’s lives and companionship are carried with us throughout life. "Thank you from the bottom of my heart for replacing this lost item so quickly. You don't know what that means to me. The pendant will be better for putting my husband’s lock of hair."